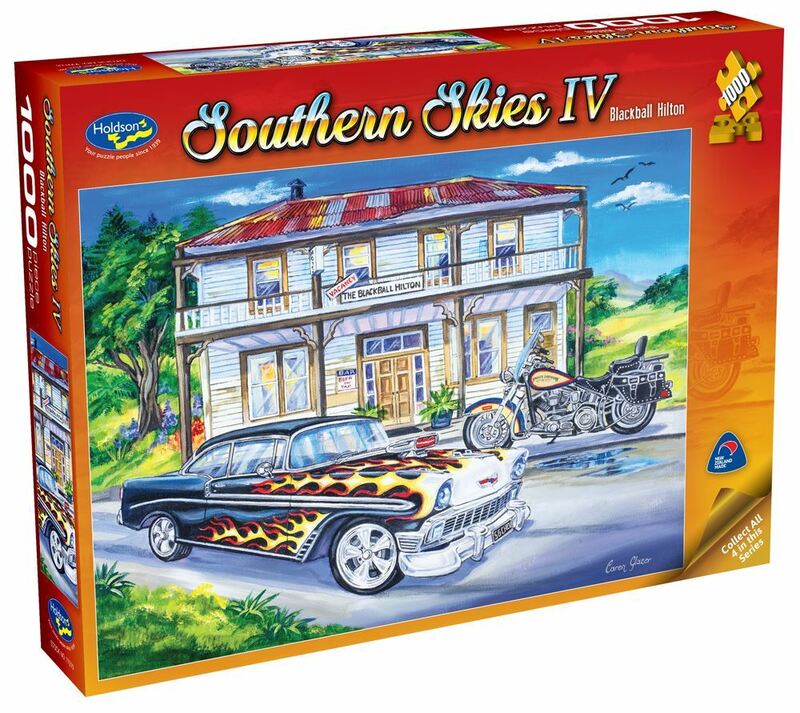 Established New Zealand artist Caren Glazer, continues to wow with her fourth series of Holdson Southern Skies 1000pc puzzles. Illustrating some of New Zealand's coastlines, Kiwi iconic holiday spots and other classic Kiwi icons. Titles include: Blackball Hilton, Kia Ora Dairy, Prestige Autos, The Palace. Each design sold separately. Collect all four titles. Age 8+ years. Made in New Zealand by Holdson. Approximate puzzle dimensions: 688mm x 493mm. Box size: 270mm x 370mm.